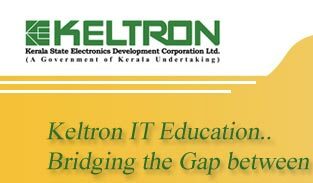 KELTRON Certified Networking Professional (KCNP) is a designed by KELTRON to enable Graduate and Diploma level students to enter into the discipline of Information Infrastructure Management and Networking. Designed by experienced professionals, this course will provide deep insight in to the most modern computer communication and inter networking technologies. Experienced faculties bring in practical wisdom to the students. Networking professionals must possess a solid foundation in networking concepts and practices to provide enterprise solutions and maintain a competitive edge. KCNP is the only integrated and comprehensive training program in Networking which covers LAN, WAN, WLAN, Security and Internetworking technologies using the market leading solutions. This course provides a working knowledge in end to end solutions in networking technology and data communication systems. This will also help the candidates to gain high marks in leading vendor certification exams. Based on entrance test conducted at Trivandrum, Ernakulam and Kozhikode.